A vigilante committee has been formed in central Bangladesh to stop Christian activities in the local community, two months after the construction of a local church was halted. The committee is made up of political leaders, Muslim elders and an elected local government official. In September, the government official ordered an end to the construction of the Tangail Evangelical Holiness Church in Bilbathuagani village, Tangail, about 100 kilometres north of Dhaka. The construction of the church had been started on September 8 by a group of around 25 Christians, who had been meeting secretly for three years. 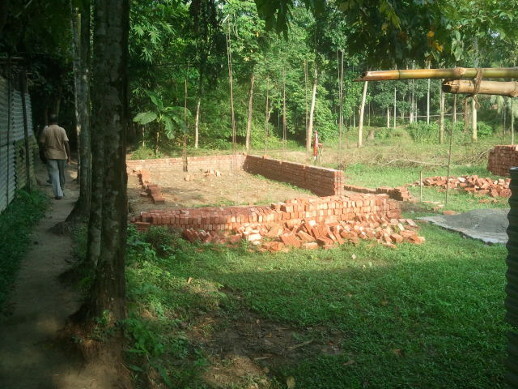 However, five days later the local council chairman, Rafiqul Islam Faruk, joined by around 200 Muslims, went to the site and ordered that the construction be cancelled immediately. The next day, following an announcement in all local mosques, ordered by the chairman, more than 1,000 Muslims, including 72 imams, gathered outside the chairman’s office to protest. Faruk told World Watch Monitor that they have now formed a vigilante committee to stop Christians from “misguiding” Muslims. “A Christian preacher has been misguiding the naïve people in this area for several years,” he said. “He is offering big bucks to the poor people to become Christians. So the poor people are becoming Christians under pressure of greed. Around eight of the 25 Christians have returned to Islam since September. “All the local people are seething silently and waiting patiently for the rest of the converted Christians’ return to Islam. If they do not come back to Islam, people here will fly into a rage and its consequences will be very bad,” said Faruk. “Never will the local Muslims accept those people’s conversion to Christianity. It is impossible for them to live as Christians in this Muslim area. It would be like stirring up a hornet’s nest. “This is the second time Christians are trying to ruffle a few feathers in our Islamic society. Ten years ago some Christians tried similarly to convert some Muslims here, but we beat those Christians and they left this place forever. I was also the chairman at that time. After publishing the news of the construction of a church in local newspapers, members of Tabligh Jamaat, an organisation of Muslim missionaries, started visiting the site frequently in attempts to draw Christians back to Islam. Mojnu Mia, 31, told World Watch Monitor that he had been placed under a lot of pressure to recant his Christian faith. “Two Tabligh Jamaat people came to my house on Friday (22 Nov) morning and tried to pressured me to accept Islam,” said Mojnu. “I said I believe in Christ. I am a Christian by swearing confession in the court. So I am Christian by faith and by the country’s law as well. 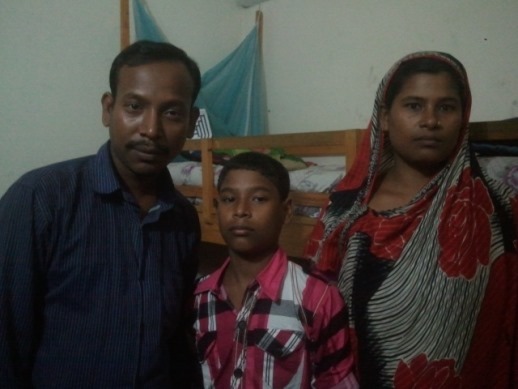 Mrinal Kanti Baul, pastor of the Tangail Evangelical Holiness Church, told World Watch Monitor that it was not yet clear whether they would be able to resume the construction of their church. Recently, US Congressman Ed Royce, Chairman of the House Foreign Affairs Committee, expressed grave concern over Bangladesh in the run-up to the upcoming national election (announced this week to be on January 5). Minority repression is one of the USA’s stated causes of concern. Of Bangladesh’s 154 million people, Sunni Muslims constitute 90% and Hindus 9%, according to the 2001 census. The remaining 1% is mainly Christian and Buddhist.